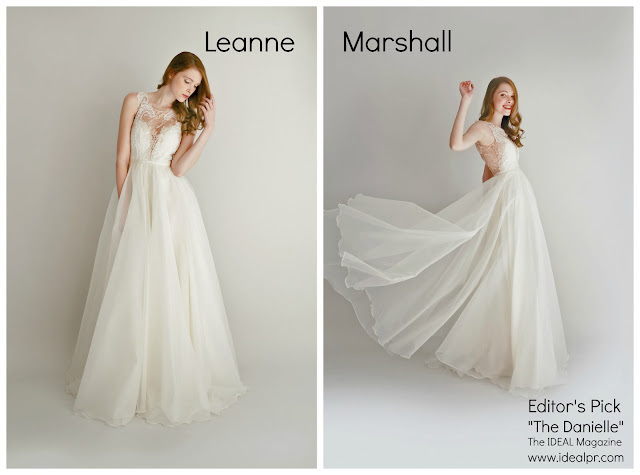 Season 5 winner of Project Runway, Leanne Marshall continues to drive the market with her whimsically intricate bridal collection. For brides-to-be wanting to stun the crowd in a unique masterpiece as they walk down the aisle, Marshall combines sleek silhouettes with the most recent trends in her collection. Marshall’s bridal collection fits the part for engagement party duos and wedding day gowns. Leanne Marshall began her fashion career in 2006 and 2007 at Portland Fashion Week in Portland, Oregon. Marshall has shown at New York Fashion Week and Fashion Weeks around the world since 2009. Marshall has created a maternity dress for Heidi Klum as well as a series of dresses for Paula Abdul. Her handmade wedding gowns are available throughout select boutiques worldwide, and are also available online. A very special thanks to Katherine Fleischman of Blink PR for making this post happen. We love the line! I really enjoyed this post! Those dress were beautiful, and that i just like the alternatives offered to the standard unsupported queer y Wedding Dress and that i love of these dress...and conjointly they appear to be additional flattering to the form....I have no plan why ladies looks to like large netting and lace.